Take a respite from your busy work day with a free concert by pianist Yun Wei, presented by WQXR. 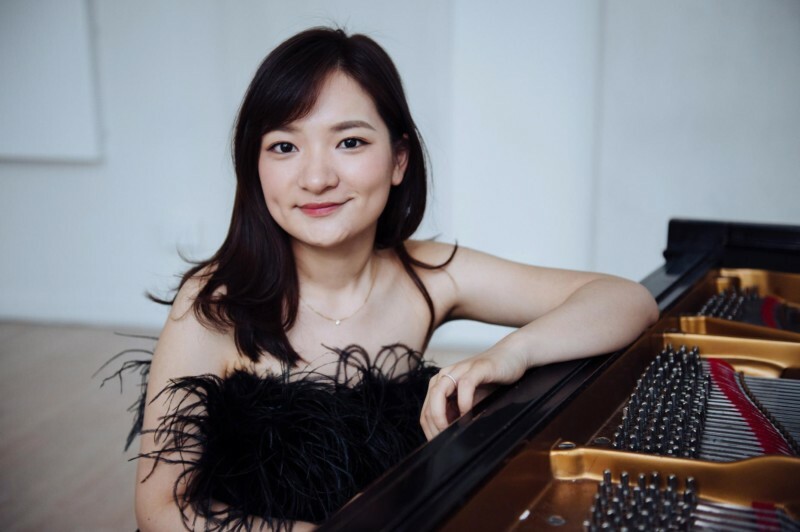 Pianist Yun Wei has performed in notable halls around the world, including Lincoln Center’s Alice Tully Hall, Merkin Concert Hall and Carnegie Weill Recital Hall in Carnegie Hall in New York City and the Great Hall and Leeds Town Hall in the United Kingdom. She has also been heard in interviews and performances on public media such as the BBC, WQXR, Houston Public Radio and Hubei. Born in Hunan China, Yun Wei began her piano studies at the age of six. She continued her studies at the Wuhan Conservatory of Music for professional music study with Man Wu and Xiao-Feng Zheng. In 2010, she emigrated to the United States where she received her bachelor’s and master’s degrees from The Juilliard School. While at Juilliard, she twice won the Gina Bachauer Memorial Scholarship and in 2015 was chosen to be a SYLFF fellow which supports students pursuing graduate studies in the humanities and social science. Yun Wei is currently enrolled in the prestigious Artist Diploma program at Juilliard, under the guidance of Robert McDonald.